Smallest size, lightest weight, brightest illumination, longest operating time. Easy Light Vario has reformed all the LED portable headlights in the world. Easy Light Vario uses a professional patented optic lens and thermal management technology that produces amazing brightness and provides superior quality and reliability. 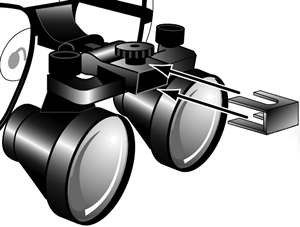 Easy Light Vario offers exceptional innovation, style and value in magnification and illumination. 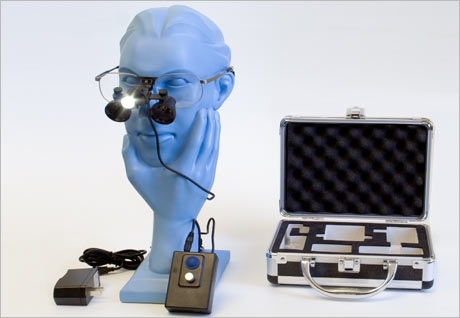 Easy Light Vario offers modular solutions for optics, frames and portable LEDs to satisfy the needs in the dental and medical marketplace. 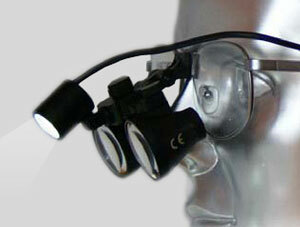 the healight H60 is easy mounted on Flip up loupes (2.5x 3.0x 3.5x ) ,Clip On Loupes (2.5x 3.0x 3.5x). To use - insert clip under PD adjustment knob as shown in place of the flip-up paddle.